Anthony Joshua who lived on the Meriden estate could not make but left a video message. He "remember the pub there, basketball court, and now its been so many years it's great the revamp is happening and hoping they might have a boxing gym or youth club." Graham Taylor OBE (born Worksop, Nottinghamshire) is a former football player, manager and pundit, and former chairman of Watford Football Club. 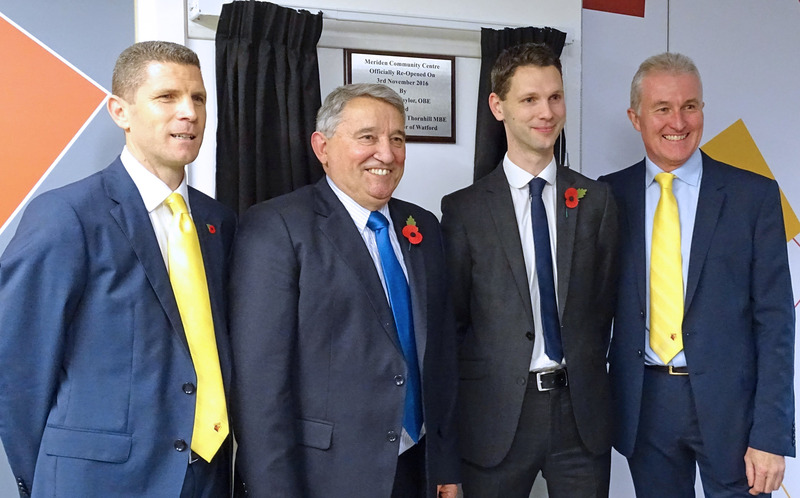 He was the manager of the England national football team from 1990 to 1993, and also managed Lincoln City, Watford, Aston Villa and Wolverhampton Wanderers. In June 1977, Taylor was hired to manage Watford by new owner Elton John. After retiring as a player through injury in 1972, Taylor became a manager and coach. He won the Fourth Division title with Lincoln in 1976, before moving to Watford in 1977. He took Watford from the Fourth Division to the First in five years. Under Taylor, Watford were First Division runners-up in 1982-83, and FA Cup finalists in 1984. Taylor took over at Aston Villa in 1987, leading the club to promotion in 1988 and 2nd place in the First Division in 1989-90. 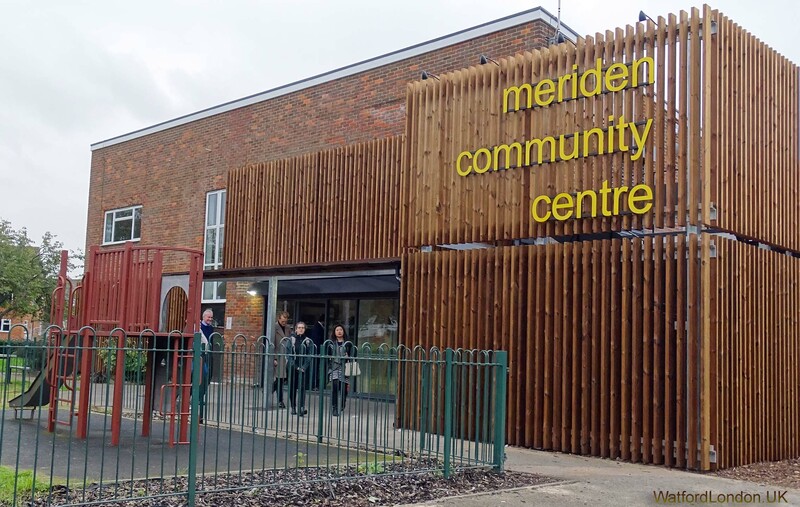 The Meriden Community Centre has received a major ‘face-lift’ thanks to the involvement and support of a number of organisations. 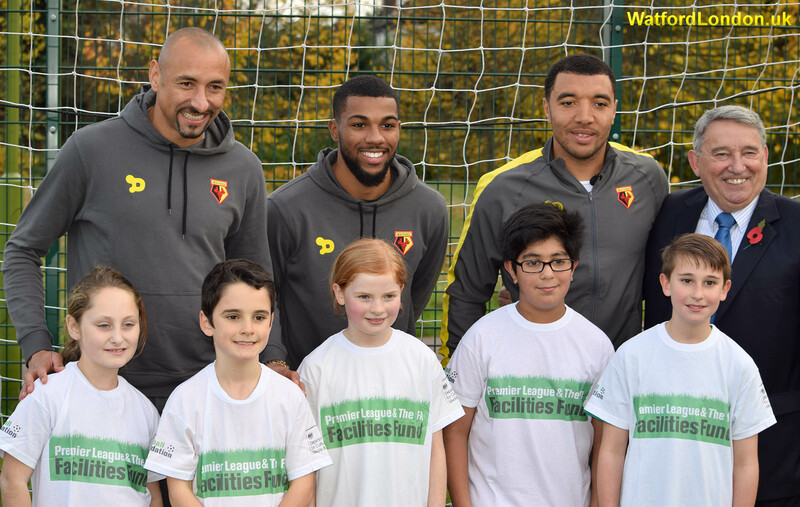 Watford Borough Council, who own the community centre, chose well-respected local charity Watford Football Club’s Community Sports and Education Trust to run and manage the centre.